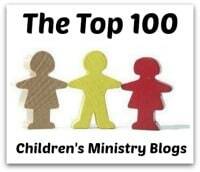 About the Children's Department: VBS 2015 Review - Top Ten - Journey Off the Map - LifeWay - And Jump Start Kit Give-Away! 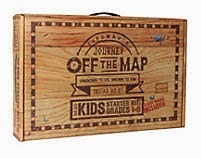 VBS 2015 Review - Top Ten - Journey Off the Map - LifeWay - And Jump Start Kit Give-Away! 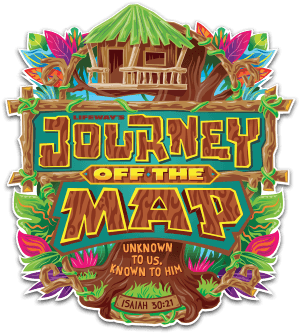 Today I'm happy to share another of my Top Ten VBS resources for 2015; this time it is, Journey off the Map from LifeWay! 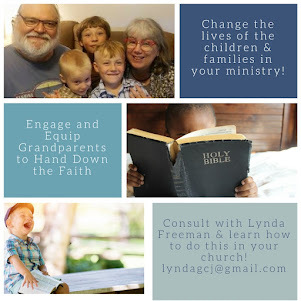 Take a look and consider if Journey off the Map is a good "fit" for your children's ministry! Know your Guide - Gal. 4:4,5; Luke 2:8-11; Matt. 4:23-24; I Cor. 15:3-5 - Why Jesus came. Jesus is our Guide. Follow your Guide - Daniel 1 - Daniel chose to obey God no matter what. God wants us to follow Jesus. Trust your Guide - Daniel 3 - Daniel's friends obeyed God, no matter what. Jesus wants us to trust Him. Stay on Track - Daniel 6 - God took care of Daniel. Jesus wants us to focus on Him. Keep Watching - Daniel 10, 12; John 14; Revelation 22:7 - God always cares. God promised to complete our journey through Jesus. Setting – Children journey to uncharted territory where they will encounter the unexpected waiting around every bend. Message/Theme – Children will, "need to stick close to their guides in order to survive. They will discover Jesus is the Ultimate Guide on a journey uncharted by them, but known by Him." LOVE the "Christ Connection" and "Today's Point" for each lesson in the teacher's info. 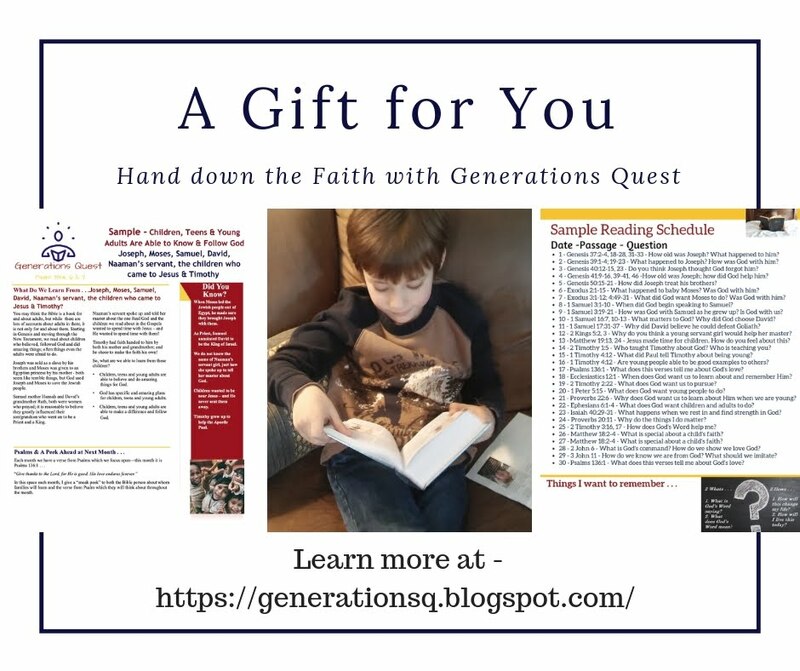 I LOVE the "Takin' It Home CD" - what a terrific idea - sure to build excitement and more importantly, connect what children are doing at VBS with their own families! 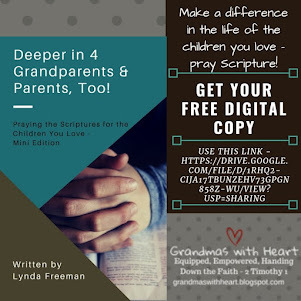 Excellent focus on VBS and prayer - info on how to develop your prayer strategies and prayer team and I LOVE the "Mountain Top Prayer Moment" which involves children in praying each day! I found the options for crafts to be affordable, creative and fun; plus the craft book has a nice variety of craft options made with items you gather - some of these are excellent! Excellent resource to help churches turn their building and grounds into uncharted territory! Ideas to help children live what they learn each day - daily challenges like last year. 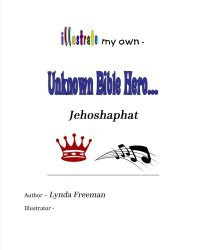 LifeWay says, "Just as Daniel and his friends stepped into uncharted territory and found God still had a plan, kids can begin to understand obedience to God does not always lead to the expected. The journey of a lifetime begins with an exciting relationship with Jesus which continues into eternity,. Whenever faced with the unexpected, kids can know to listen for God's direction: 'This is the way. Walk in it.'" 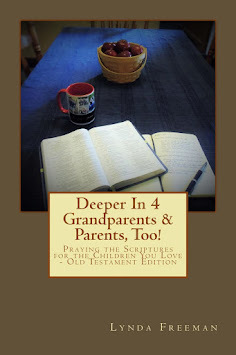 I found Journey Off the Map to be well written to engage children with a focus on evangelism with solid Bible teaching. 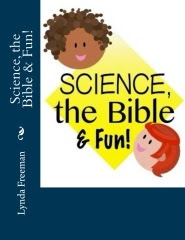 This VBS is an excellent resource - great for back-yard Bible clubs, Teen mission outreach opportunities and would be a lot of fun on Sundays in the Summer! Take a good look at Journey Off the Map to see how it might be a good "fit" for your ministry! I am happy to say, LifeWay is making available some of their Jump Start kits which are, "packed with all the essentials you need to start planning for Journey off the Map", for me to give away (USA only)! 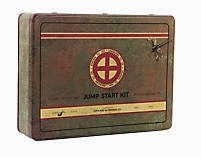 If you are over the age of 18 and would like to be included in the drawing for one of the Jump Start kits - which will be on January 20, 2015, please comment below to let me know how Jesus has guided you; there have been many times I have been able to see where Jesus has guided me, but one big one was in going to California to serve with LIGHT Ministries - I ended up meeting my husband - on an active volcano! Jesus has guided me through so much in my life. Just today, he reminded me that I have his power inside of me, when I read a verse that said that I can turn my thoughts under Christ's submission. How awesome!!! P.S. I'm glad Lifeway is getting better in it's teaching and Bible Studies. God has guided me in so many aspects. Where He has guided me the most, is that when I moved to the USA, that He guided me to the right church where I met my wife. I shared, and Google Connected, and Like the Facebook, and follow my email. Jesus has guided me in many ways, but the most life changing has been going into ministry as a vocation and then onto seminary. Both have been life changing! Jesus clearly guided me to my current state, town, home and church where I found my job in Children's Ministry. It is great to look back and see how he orchestrated it all! Thanks for doing these reviews. I follow you through my Feely reader and enjoy reading your posts. I also follow you on Facebook. Thanks for sharing all your insights. God has guided me always in my life. I think one of the biggest journeys he took me on was the cancer journey. We had to totally trust Him through all of it. I praise Him that He took me on the journey to find my spouse, our home and our church too. Thank you Lynda for your great reviews. We are using this curriculum this year. Now we are praying for a director. 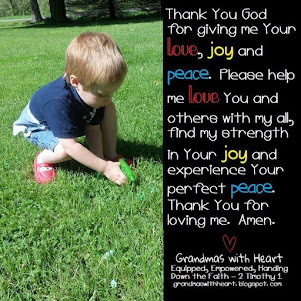 I am glad to read that prayer is an important pat of the curriculum. 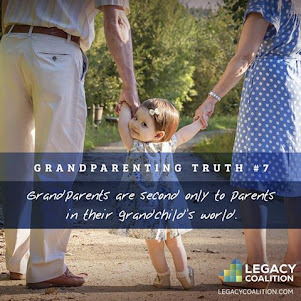 God has guided me in my marriage and our ministry and most recently as we are in the adoption process. This will be my 10th year directing VBS. God has lead us to use VBS from several different vendors, and each year with God's guidance we accomplish what He sets us out to do. He helped my husband and I find each other during really hard times. God Guides me each day and I am so thankful! One of my favorite hymns is Guide Me, Oh Thou Great Jehovah! What a blessed thought that He leads and guides us and that He will never lose our path, even when we do not know what direction to go. He shuts doors that no man can open and opens doors no man can shut. It was so apparent when my husband entered Bible College and we needed a place to live for our family, I prayed that God would find us a place closer than the houses we had looked at for a price we could afford. God did just that with a house that was not even on the market. We found it through God's leading us to a moving sale to ask questions.